We’re so excited that you’ve decided to join us! We know that this will be one of the best decisions you’ve ever made. Why? 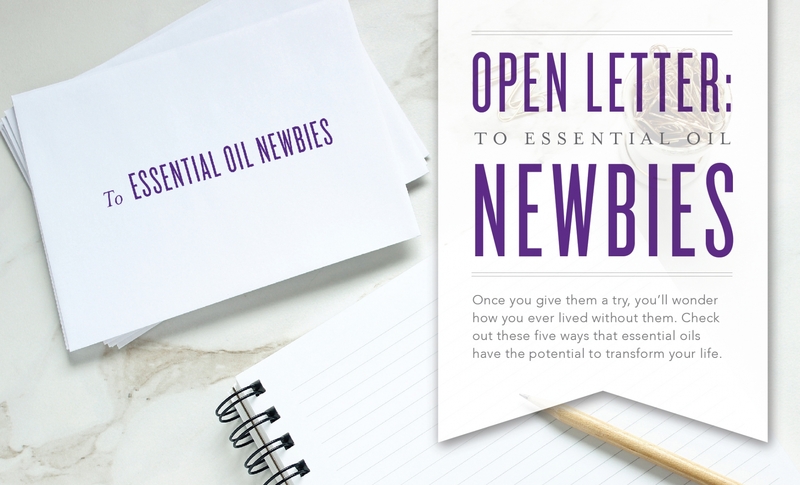 Because Young Living essential oils have the power to elevate, motivate and inspire. In this letter, we’ve put together a list of five ways they can transform your life. “You have to tell me what perfume you’re wearing!” You’re going to hear this a lot. You’ll chuckle to yourself because it’s not really perfume at all. It’s the pure scent of Mother Nature herself—Young Living essential oils. People are going to want to know how you smell just like a blossoming orange grove or field of brilliant purple lavender and you’ll tell them that it’s because that’s exactly where the aroma came from! It’s the smell of 100 percent pure essential oils, derived directly from fresh oranges or lavender. You’re home after a long day at work and your gym bag is casting an accusing look your way. At the same time, that carton of triple-chocolate-chunk ice cream is serenading you from the freezer. You feel yourself take a step toward creamy indulgence when you see a bottle of Peppermint staring serenely back at you from the corner of the kitchen. You walk over, remove the cap and inhale deeply—your nose tingles, your senses awaken. You apply a few drops to your neck and temples and immediately feel a cool, tingling sensation on your skin. You feel awake, alive and suddenly ready to tackle what you know you need to do. You change directions, walking right past the freezer, grabbing that gym bag, and heading confidently out the door. Young Living essential oils strike again! A gym bag just isn’t complete without your army of oils. A few drops of invigorating Peppermint can be just the thing you need to do that extra pull-up or run that extra kilometre. A few drops of Grapefruit essential oil can be the difference between drinking a couple sips of water or the entire bottle. Keep them handy for those moments when a little motivation could mean the difference between going the distance or giving up. Essential oils have a way of transforming the ordinary into the extraordinary. With just a few drops of Cinnamon Bark, Orange and Clove, a dark, cold winter night can turn into a festive, cosy evening. With natural-home fragrances like this, you’ll find it easier to enjoy each day for the gift it is and spend more time cuddling and conversing than daydreaming of tropical beaches. Essential oils can enhance even the most basic of daily rituals. Your little ones will love falling asleep to dreamy aromas like gentle Tangerine and enchanting Lavender. So when they bring home that crazy boyfriend or crash the car as teens, you can smell these oils and remember simpler days of story time, PJs and butterfly kisses. Make sure Young Living essential oils are a part of your family milestones and everyday activities, so with just a quick whiff, you can transport yourself back to your happiest, most magical memories. With essential oils, the usage possibilities are virtually endless. There are always more applications to try out! You might start by adding a couple drops to your moisturiser, laundry or household cleaner. Before you know it, you’ll find yourself in a sort of essential oil Nirvana, covered in coconut oil and beeswax, vigorously shaking bottles of Peppermint and Lavender over a mixing bowl—and you won’t be able to stop there! You’ll start making DIY essential oil body butters, makeup setting spray, dry shampoo, even Christmas ornaments! Not to mention all the ways you’ll use YL culinary oils in the kitchen. 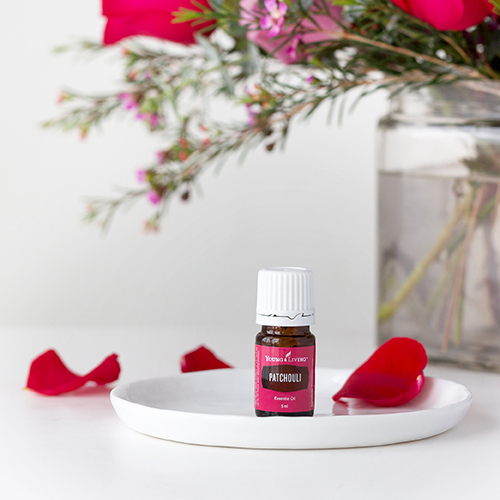 You’ll need to embrace the fact that essential oils will become a key part of your everyday life, and the more you use them, the more you’ll wonder how you ever got by without them. Young Living essential oils are samples of the best that Mother Nature has to offer. In an increasingly fake and artificial world, they serve as a reminder of the pure and simple. As you use them in your life, your bond with nature will grow, along with your appreciation for the bounteous gifts it offers you. Every time you reach for a bottle of Geranium over a synthetic perfume or use Orange essential oil instead of artificial orange flavouring, you’re supporting a world where man and nature live together in harmony, the way it was meant to be. An old proverb says: “The journey of a thousand miles begins with a single step.” You’ve just taken the first step toward a life filled with greater wellness, purpose and abundance. Every person’s Young Living journey will look a little different, but there’s no doubt it will enhance your life. We are excited to see where this journey will take you! I have used Young Living’s essential oils for over 2 years now and Geranium and Peppermint are definitely in my top 10 most used essential Oil. I use tangerine also, it’s great to diffuse or apply topically as a scent. I LOVE IT!